20 years, two decades, 7305 days (according to Siri), three homes, five full-time employers, two children, three cats, six dogs, six vehicles and one woman. 20 years ago today, I married my soulmate. It was a beautiful early summer day as we said our vows next to the Kankakee river in Wilmington, Illinois. We were surrounded by family, friends, and geese wearing bow ties. We were about a year out of college and were just starting our adult lives. We had actually lived for a time in a van down by that very river which rendered that joke on Saturday Night Live all the more humorous. We weren’t quite sure what the future held, but we knew we wanted to go through it together. 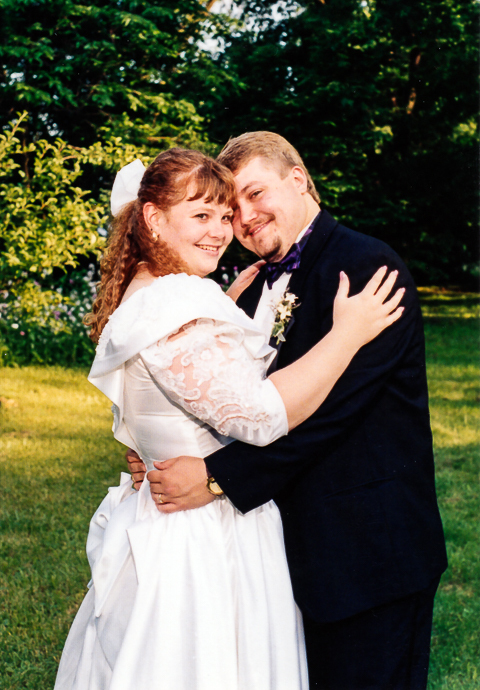 Times weren’t always easy, and we still can joke today that we’ve spent 18 years happily married. Two of them were really bad, but at least we agree on which ones. I’m 44 years old now, and nearly half of my life has been spent in love with this person, the mother of my children, my best friend, partner in crime, and pillar of support. I honestly cannot imagine doing this with anyone else. Here’s to the next 20 and beyond.